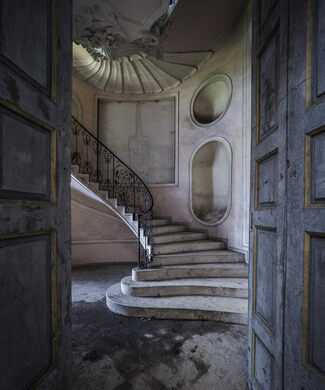 Join us for a special lecture on urban exploration and what it takes to photograph some of Europe's greatest abandoned structures. 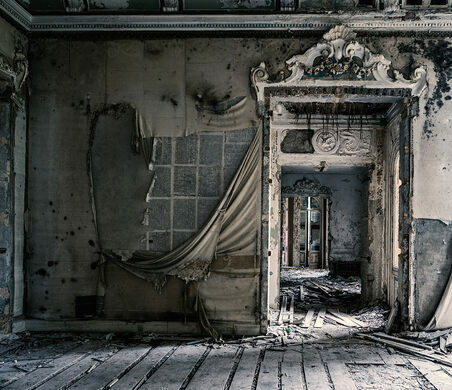 What is it that we find so fascinating about photos of abandoned buildings? Is it a desire to examine the past, or a lament for what has been lost, or just a reflection of our obsession with our own mortality? Join us as we explore these questions and more in a talk with longtime urban explorer and photographer Claire Alaxandra Powell. 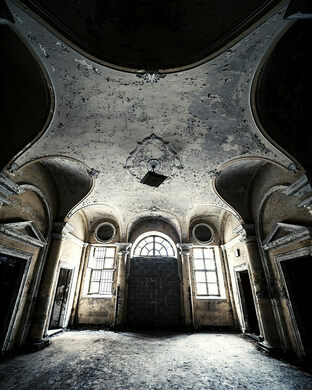 Urban Exploration has always been a popular pastime to rule breakers and renegades, but with the advent of social media, especially Instagram, there has been a new rise in its visibility. Once only available to those who were willing to risk the dangers of entering decaying structures, modern technology has made it possible for photographers to share what's inside ruins around the world with the world. Viewing this practice through the eyes of an expert will help us uncover more about the compulsion to go off the beaten track and share these discoveries. 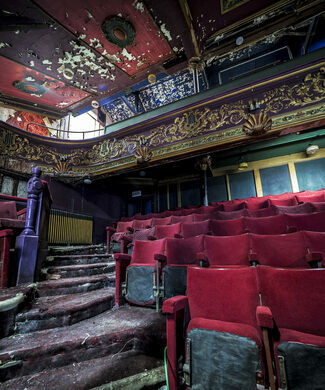 We'll discuss Claire's background exploring abandoned buildings, how keeping secrets within the urbex community helps preserve these structures for the future, and the history behind the places she's photographed all over Europe. Claire herself has been hunting for ruins for the past decade in England, Germany, Italy, Vietnam, Cambodia, the United States, and more, and will bring this wealth of experience and knowledge to share. Best of all, you'll be able to take home a print of your own after the event, included in the ticket price. Our event will be hosted in the Asylum Chapel, an 1824 chapel whose interior was ruined by an incendiary device during World War II. The interior, almost entirely destroyed from the explosion, remains in much the same state today. Claire Powell was born and raised in Thunder Bay, Ontario, Canada. As a gift from her mother in 1997, Claire was given a film camera and began to see the world differently. After working as an assistant trainer in the thoroughbred racing industry, she pursued a B.Sc. in Photography and was accepted as a student at the world renowned Eddie Adams Workshop XXIX in 2016. 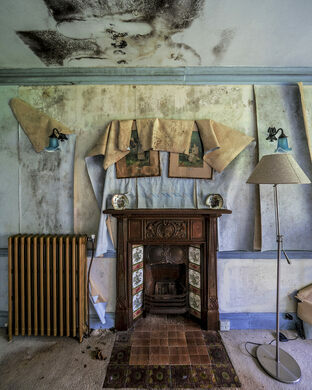 Claire is currently studying at the Royal College of Art for a MA in Photography, and her ongoing work re-assigns lost narratives to abandoned places around the world. Her work has been exhibited in Minneapolis, Fort Lauderdale, Toronto and London, and you can follow her on Instagram or visit her website. Check in will begin at 6:30 and the lecture will start shortly afterwards. Meet Field Agent Leyla Royale in front of the building. All ticket purchasers will receive a free print of a photograph. Free street parking is available on Asylum Road. Toilets will be available for use.